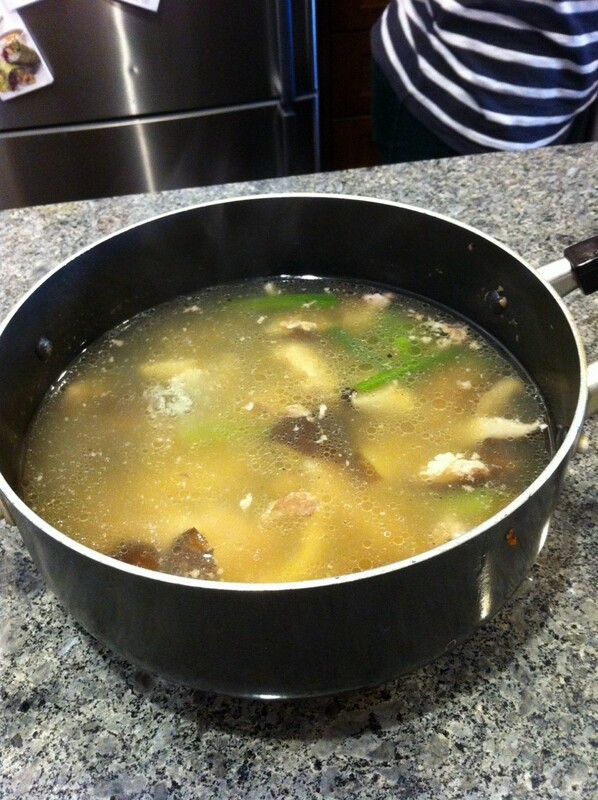 Soak the Chinese mushroom until they are tender. Chop them into small pieces. Boil the water. Add the chicken breasts or chicken legs. Add the Chinese mushroom. Cook about 1 hour. Add salt and pepper. Done.